I hear you, but somehow, I don’t think that the industry will be listening. 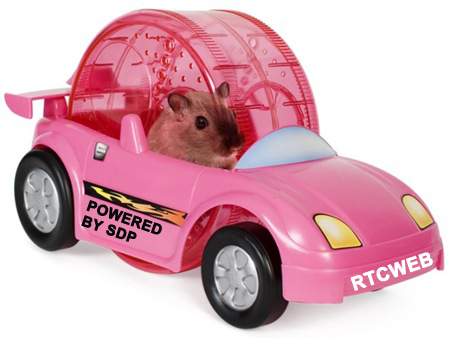 There’s just too much put out there already for anyone to rollback on things like SDP in WebRTC. The reason it is there? Because this is how the GIPS APIs looked like prior to the Google acquisition. And then a bit of reasoning on top of it to make it a sensible decision. The better standard has never won the day. This is the case with WebRTC as well. Might as well get used to having SDP in there.